As you can see, Calendar field is disabled for editing. Why? Project Summary Task is to Show you in one row how many days will your Project lasts, how many hours will it need, how much money will it be spent, when will the Project Start and End etc. When we are considering Calendar, usually you will have hundreds, even thousands Tasks in a single Project, and they will have various Calendars. So you have to set those various calendars for specific Tasks as I did in my example above. But, you don’t need to do that for Project Summary Task since it is calculated and it is here for (very useful) information. 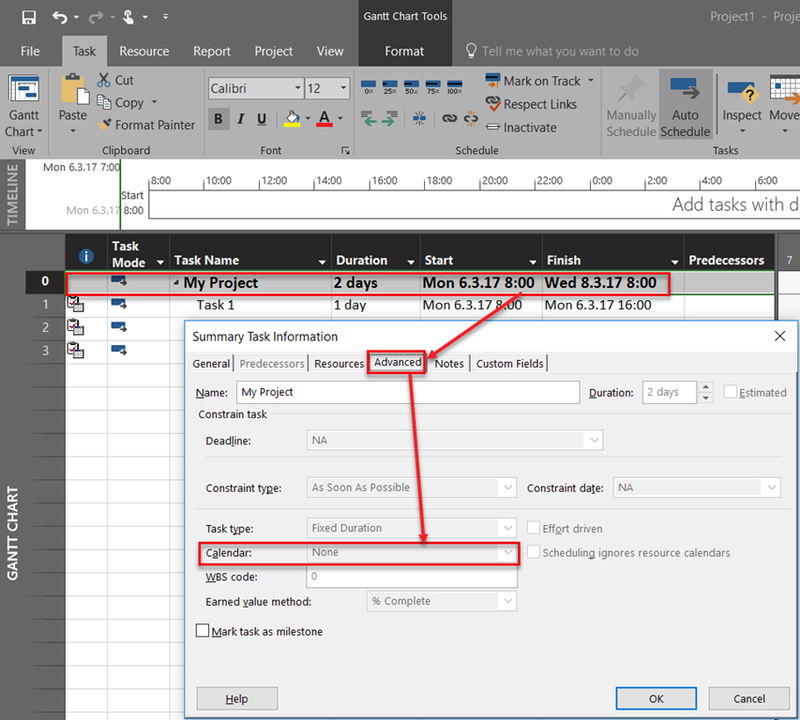 So, to conclude it doesn’t make any sense to put Calendar to Project Summary Task. 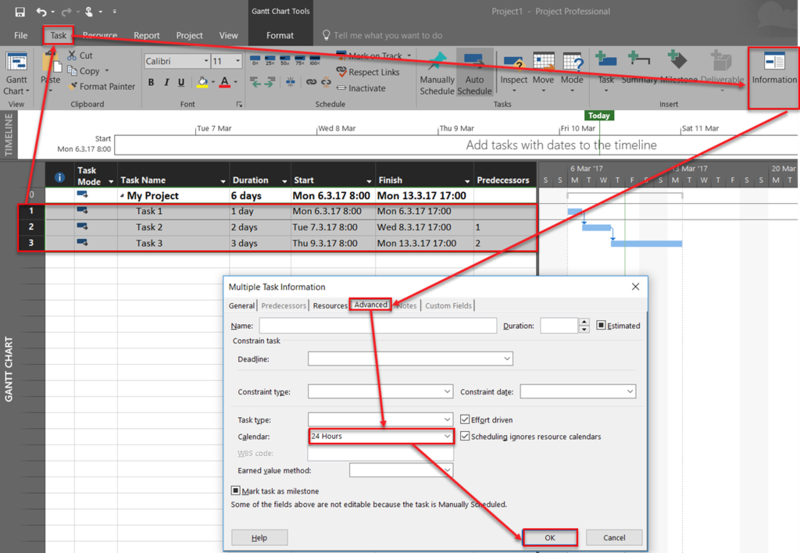 This entry was posted in Microsoft Project 2013, MS PROJECT 2010, MS PROJECT 2016, PMI, PRoject Management and tagged Micorosft Project 2016, Micorosft Project 2016 - calendars, Micorosft Project 2016 - Schedule. Bookmark the permalink.